Given such dynamic shift in the Production landscape, Studios need to transform quickly into digital companies, managing customer, social and digital assets, and improving consumer engagement. Silos across the content production value chain and lack of agility – Production workflows use several standalone smaller technology platforms for script development, documents & photos, scheduling, budgeting, dailies & cuts reviews, screening etc. A separate technology for high resolution content management, post production and various deliverables. Marketing departments seek their own technology to manage publicity material. Digital departments which run their direct-to-consumer initiatives want their own technology to manage content before they publish to target B2C platforms. All these are currently facilitated through manual workflow orchestration between the various departments. Permission sets, types, tags, etc. Advanced search of assets, associated metadata, folders etc. It is time to adopt ONE cloud-based software to manage Dailies and Post Servicing Workflows. 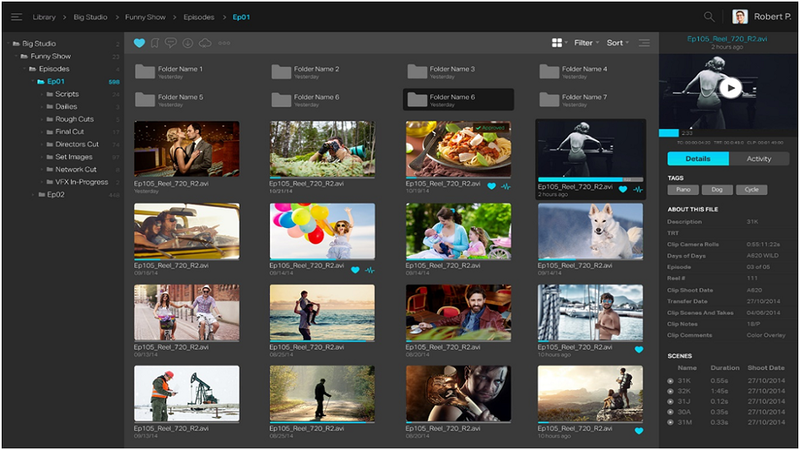 ONE software to manage all the high resolution and low resolution content, dailies and post production workflows for production, marketing and distribution. ONE system to store, manage, transcode and deliver content across the Production supply chain.